George's Seafood & BBQ Restaurant has been a customer of ours for awhile. We decided to focus on the food this time around. Photographing 11 different dishes on location and featuring them prominently thoughout the site. We ended up building the bulk of the site in a week to get ready for Bike Week in NH. Additional work was performmed post web site launch. The web site features a CMS (Content Management System) for maintaining the menus and specials. 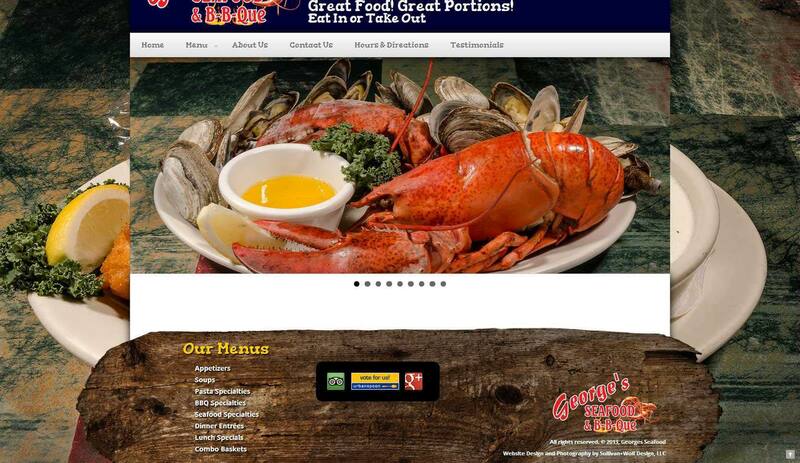 Built with Responsive Web Design (RWD), the site works very well for smart phones and tablets, an important feature for a restaurant in the NH Lakes and Mountain region.